Wes was amazing and very quick! Got the lockout done in less than 3 minutes. The price was under what I thought it would be, would definitely recommend!! Ilan was an amazing help. He was very prompt, thorough, fast, and helpful. He was also great with the kids running around and endured tons of questions from little ones. Very happy with the job. He finished much faster than I expected, too. Called Locksmith Monkey just after landing at PDX late at night on a weekend. They were waiting for me in economy parking by the time I got there. Had a microchip key made in no time and they threw in an spare door key. Solid price. Straight forward. 10 out of 10. Definitely calling if my keys/bag are stolen again. So I lost the one and only key I had for my 2002 Volkswagen Jetta, I called multiple dealerships to compare prices and then I came across Locksmith Monkey and they responded and let me know prices and everything. I was pleasantly surprised at how quickly they got back to me, did the work and got me a new key and programmed it to the car. They are quick, able to come to you so no need to have your car towed to them, and really kind. I was even made a blank that will open my doors in case I lock myself out. I definitely recommend them if you find yourself locked out or needing a replacement key! Long story short, I had a “locksmith” come out after sounding extremely confident over the phone that he could cut a key from scratch, but after spending hours poking at my ignition, couldn’t get the job done and resulted in a key that was not only able to open my gas tank and rear seat cover.. but also the depths of my despair as I wondered if I would EVER ride again. Fast forward a few years later the spark of riding kindled a flame and i began seeking alternative, very EXPENSIVE methods of acquiring a working key.. from tearing apart completely, new ignition.. you know the drill. BUT, after searching forums i decided to give Locksmith Monkey a chance..
Let me tell you something, the most professional, passionate man showed up at my door, using the key already cut (and saving me money) the job was done in 20 min and with zero bolts removed.. and I had my key! Do not call anyone else regarding any locksmith issue, ESPECIALLY if it’s a high end bike and you need someone who really knows what they’re doing. Ilan was very nice and programmed my infiniti g35 key really quickly. Everything worked completely. Would recommend. They were able to come to my house and program a new Prius key for me within a few hours of me calling them, and were a bit cheaper than the Toyota dealership quoted me. Great service! They were on time, friendly, and affordable! A fantastic experience!! Had increasing difficulties with my 2009 Honda Fit ignition key for weeks when I finally researched the problem. Found great information on Locksmith Monkey’s website about it that was confirmed from other sources. Called and received a visit from Ilan the same day. He inspected and diagnosed the main problem but on fixing it found the steering column parts inside the ignition mechanism were still not working right. He explained how this happened and my options. He gave me a not-to-exceed bid for fixing it no matter what it took. He ended up taking it home and disassembling and rebuilding it there, spending far more hours for that bid than any reasonable rate for a locksmith. It would have cost over a thousand for the dealership to have replaced the lock and then I would also have to get new keys and the car’s VIN would no longer index to any replacement keys. Ilan fixed it for a fraction of that and it has continued to work flawlessly for months afterwards. Very satisfied! West was super speedy and friendly. Came in and poped the lock! I really appreciate it bud. Came out within two hours on a Sunday night. Super fast! Ilan was so nice. They also have nice solid keys. Wes was friendly and efficient! He fixed our broken lock on our back door on a cold Sunday morning. Thanks! Llan came out the same day I called and made me a new key fob for my 06 Prius. In a very short term he had me up and running at a considerable savings from the dealership. I’m happy with the service. Wes came in and found that my condo door was too tight for his normal procedure but he stuck to it and didn’t drill the lock to save me money and never gave up for over an hour and got my door open. Amazing job and effort and saved me a ton of money. Couldn’t recommend a better locksmith! Great service!!! Had a new pre production car that had locked itself. 1 call is all it took. Lost my only key to our van. Barak was able to get out here same day and program two new keys. He was very polite, respectful and done in 15 minutes. I can see why Locksmith Monkey has so many 5 star reviews. I would definitely recommend them to anyone. Dude was awesome. Got here in like 10 minutes and got me on my way in 2. Thank you!! My maintenance people were unavailable this morning when I walked out of my apartment without my keys, locked door closing behind me. I called this place at 6:30am on a cold December morning. Wes got me quickly into my place and was very polite and personable. I will recommend to friends and would definitely use them again if need be. I just bought a new home and my 2nd day in the house I accidentally locked one of the bedroom doors. This door had an actual key lock (like what you would use on the exterior door of your home) and the first locksmith I called was unable to pick the lock. Luckily West came out and was able to get the door unlocked. Great customer service and speedy response. If I ever am locked out of something, this company is my definite go to! Great customer service! Locksmith Monkey re-keyed my locks after I moved into a new place – quick, professional, excellent job. Then, I had an issue with a deadbolt lock and they came by to help me nearly immediately. Highly recommended! And now I’m updating this review – wish I could give 6 stars! My contractor bent one of my keys at a 90 degree angle and Locksmith Monkey came to my house to make a copy – and didn’t charge me. What wonderful guys! West was very prompt and respectful. Got the job done despite a sticky door lock no fuss. Would highly recommend! I’m impressed. First company I called said they would 100% have to drill thru the door…then this guy came right over and got in within about 100 seconds. Highly recommend no question. I had to have the lock replaced on my car. Not only were these guys prompt and professional, they came to my house within an hour on New Year’s Day to do the work. I certainly hope I won’t have to use them again, but if I do have another problem, they’re the ones I’ll be calling. Such a great family owned business! Ilan came out only 30 minutes after we called for new locks on our new home! Very friendly and a pleasure to work with. We will definitely use them again! Definitely recommend! For convenience and security, I finally decided to get all of the locks in our house re-keyed. I decided to call Locksmith Monkey after reading all of the post reviews and was not disappointed. The person who responded to my initial call was courteous and gave an immediate estimate and an approximate window of service. Because of his professionalism and straightforward response, I decided to purchase the $139 for $99 deal and schedule the appointment. Ilan (technician) came out on time and was very friendly and efficient. Upon seeing the locks, he told us that one (of the four we were changing) could not be re-keyed to match the others. At that point, we decided to change out the lock and he did not hesitate to run back to his shop to get a deadbolt and handle that would work (he even matched the color and style of the old one perfectly). When he got back, he finished the job quickly but with care and precision. We now have one key and all of the doors are locking smoothly and easier than before. Thanks, Locksmith Monkey! I was loading Christmas presents in my trunk and somehow my keys dropped inside and my car doors were locked as well so i couldn’t use the trunk button on the inside!! There were hardly any places open but my uncle found these guys and i waited no more than 35 minutes on Christmas Eve and the guy Wes who came he got in, in less than 5 minutes!!! These guys rock!! They didn’t charge $200 or more like most places would especially on a holiday, I highly recommend them. William was quick to arrive get me back in the house and a great talking witj. Excellent speed, and customer service. Wes helped me get in my car with no issue and had a very professional and positive service. Will use them again. What a great experience. I locked my keys in the running car ready to head out with my young son (he was not in the car, thankfully!) and I was in a panic.They got here and it was effortless. I highly recommend them! Good service, quick response time, fair price – even on a Sunday. There is a reason they have all of the good reviews. They know their way around more challenging locks. West from locksmith monkey was an absolutely amazing locksmith. He had my door open in minutes and was kind and humble. Only locksmith I’ll call from now on! 10/10 would recommend. Called Locksmith Monkey on a Saturday night. My daughter flew back from California, Got to airport parking lot in Portland Or. and realized she had no keys and were left in Ca. My first call was locksmith Monkey and the gentleman was like we can be out in 45mins to 1 hour in Battle Ground Wa. To get her in her house. The technician was professional and fast got her in without drilling locks out – my thought. My daughter called other companies stressed with no answers. 5 stars to Locksmith Monkeys!! Didn’t charge an outrageous price either. We just called Locksmith Monkey to open our car. The gentleman was very very nice and helpful. We will use Locksmith Monkey again! Great customer care, very friendly and professional. Fast, friendly service when I really needed it! West was extremely quick and helpful. 10/10 would use you guys again. I am so appreciative for West he and locksmith monkey got me going this morning. I locked my keys in my car and he was here on the money!!! Thanks West so much you awesome!! We called Locksmith Monkey at 7:30pm on thanksgiving – a cold rainy night- Ilan rescued us! He must have dropped everything to help us because we were inside within 45 minutes despite it being thanksgiving. He was efficient, kind and professional. If I ever need locksmith services again in the future I will definitely call the monkey! Awesome service! I lost my ignition keys to my Toyota. They were able to come out within an hour on the weekend! I had a new working key in 45 minutes. Total lifesavers. I was having the most anxiety filled day. I was taking a load from my storage unit to my car and went to unlock it. It wouldn’t budge. I threw a little tantrum at first and then calmly tried one more time and snap my key broke off in my door. I dropped my keys on the ground and started crying. I had called two different company’s. I got a call back assuming it was the original company I chose. My phone ended up dying and did in fact actually die as Mr. pulled up and parked behind me. I ran over frantic about my phone and he was so calm and plugged my phone into his van. The whole time as I blabbered on about nonesence he kept reassuring me everything was Going to be ok and to smile. Well he was super fast and finished before my friend who was helping me pay for the key got there. Well he waited patiently for quite a while. My fire never came so luckily my parents live close by and we’re able to come and paid me out. I told my parents the price that I was the company I called. It wasn’t at all. But here’s the thing. He knew I was frazzled all to heck and when I was confused to the max why it was higher than i thought my dad only had so much cash on him and Mr. worked with us. Great service amazing. Answered right away and was quick to help us out of a jam. Thanks! They arrived and had me in my house within an hour from my call and I live 40 mins outside of Portland. Wes was great and it cost about half of what I expected. We needed help getting a key made for a car we had just purchased that had no key and Ilan came out late in the evening and spent awhile working on our car in the dark to get the key made for us, very friendly and we appreciated him working out in the cold to help us get a key to take the car home. Would recommend this company. They responded very quickly to my call and were very professional and helpful. I would recommend them again. Wes was here quick on a Sunday morning. Finished quickly too and friendly conversation. Totally recommend. Nothing else worked until Wes showed up and removed a Kryptonite lock. From phone call to freed bike was about 45 minutes, so timing is also awesome! HIGHLY RECOMMEND! We have had terrible experiences with a past locksmith, but after our experience with Locksmith Monkey (Ilan) our minds have been changed. We had out car broken into and a small part of a key left in our ignition. Ilan came out quickly and was great at communicating updates. Price was fair and work was done well and fast. We will keep his card on our fridge from now on just in case. THANK YOU LOCKSMITH MONKEY! Lost my home key is quite frustrating. Wes did a great job and make this much better. He is willing to help and also did a good work . We were so pleased when Wes showed up after we had locked ourselves out of our home on a Saturday morning. It took him about 20 minutes to get to us from the time we called & he was efficient & friendly. We would call them again in a pinch! Great job tonight! Very friendly, as fast as could be considering was at a job completely across town. Easy, fair, so thankful to be in the house! Thank you! We had a ring of keys stolen for our house. They came out and replaced our outside locks so they all use the same key and fixed our annoying front door that you had to jiggle just right to open. He did run later than expected, but he communicated with me multiple times where he was and what was happening. He worked fast and knew what he was doing. He was friendly and relaxed. I would recommend him to anybody. The Technician was fantastic and very professional. They were also the only place around to be able to get me a smart key for my Prius and program it the same day. I would recommend to anyone! Wes was a patient Monkey, and he got the job done ✅ Thanks for the quick response. We were locked out of our house on a Sunday of a holiday weekend and the locksmith was on time and friendly. He was a lower price than some other places I called. West was on-time and customer friendly. He showed up at 9:30 PM and got the job done fast. I highly recommend Locksmith Monkey to all my friends. West was expedient and professional. 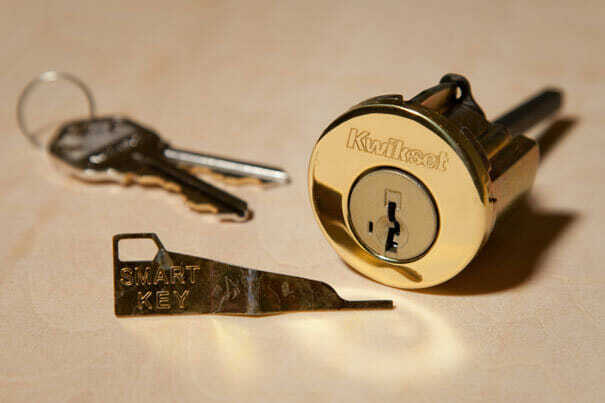 After locking your keys inside your house, the last thing you want is for the locksmith to not know what they’re doing. West came prepared to get the job done in a variety of ways. He clearly knows what he is doing. My newer motorcycle had an ignition issue and locksmith monkey was able to deal with all the anti theft hardware and have my bike back on the road in a few hours. Genuine craftsmen and patient thoughtful people. Had my only key stolen the other day. Thought I would have to go through the Volkswagen dealership..which wanted me to have my car towed to them.. I found “Locksmith Monkey”, and my world got better. What a great company.they were very helpful…and I had my key made within an hr. I HIGHLY RECOMMEND THEM! Amazing Service! Same day appointment. Called after 6pm and had 5 locks rekeyed by 7:30pm! Wow! West was awesome! He got my keys out in 3 minutes!! Then he gave us a free concert! LoCKSMITH MONKEYS!!! Imagine my panic when I accidentally locked my keys in my travel trailer, with my old dog inside on a Sunday evening. Locksmith Monkey showed up very quickly to save the day. Great job!! The service tech showed up on time at location I was parked. He promptly went to work after price was agreed upon. He finished in 20 minutes like he said he would. The cost would have been the same if I went to my local mechanic but my mechanic wanted the car for 3 hours. After Locksmith Monkey finished the job he gave me a 25 dollar discount. Thank you brother much appreciated. Thanks to West they got me open real quick. Nothing worse than being locked out the house. Professional and quick and priced well. The door to my brand new house blew shut and locked with my keys, phone, and glasses inside. A neighbor googled Locksmith Monkey. Wes was there in 15 minutes and had the door opened in 3. Courteous, friendly, and efficient. I couldn’t have found better service. Ilan did a superb job – he was punctual (even on a Sunday evening), and got the jammed door open for us as promised! He was courteous and professional, and did his job efficiently and effectively. We are very grateful. Thanks! I highly recommend Locksmith Monkey. I lost my key case with several important keys. 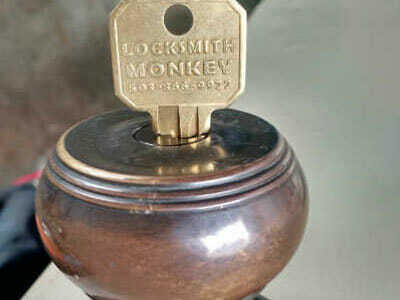 A quick search on the internet and I found Locksmith Monkey. I called and dispatcher said they could be to my location within an hour and re-key the house. Wesley arrived as promised and re-keyed three doors. 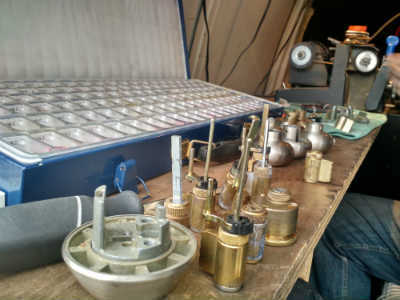 He is very professional and knowledgeable about locks and worked quickly to get new keys made. From the initial phone call to the completion of the job, the company provided great customer service. Locked out of my home late night, it was dark and I had no phone, money and didn’t remember anybody’s phone number. I walked to a local market and the clerk Googled locksmith monkey. West was at my house in about 20 minutes, he was fast, friendly and professional. Thanks again West, I appreciate your exceptional service. Called because our battery was dead. Said they could be there in 30-35 and made it in 15! Fast friendly and got us on our way! Thanks! Wes was great. The prices here are reasonable and I was given a flat quote over the phone no hidden fee’s no BS. Wes was cool and friendly. 100% recommend this place if you are like me and lock yourself out of your car. Ilan was amazing came out when it was convenient for me even though it was 10 at night. Was very fast replacing my whole ignition and it was cheap too! Definitely high rating absolutely! Ilan was really excellent in repairing my front door look: responded quickly, rapidly diagnosed the problem and replaced the broken part, and all at a fair price. Friendly, knowledgeable, and fast! After weeks of getting the run around from other locksmith to make a new key for my BMW, I came across Locksmith Monkey. They came out ASAP and worked with me to get me the best deal and easiest solution. Highly reccomend their services! Locked myself in my garage and all my windows were locked. Called Locksmith Monkey and they came when they said, 20-25 minutes. Got me back in my house in no time. If you’re able, have cash ready. Credit card fees for small business owners are high. Had a great experience! Service was fast, fair priced, and clean. Ilan was super nice and helpful, and explained everything well. Thanks! Great customer service! I found myself locked out of my house in North Portland after taking my dog out for a walk. Locksmith Monkey came out quickly and within 30min I was back inside my home. Very professional and helpful. A definite recommendation. Ilan was prompt, professional and funny! Came out in less than 2 hours – awesome! Thanks! Barak came and made a new key for my Honda Pilot. The car had some issues with the ignition and he made it work super well! Highly recommend locksmith monkey. Needed a keyless door unlocked. Called and Tech out in less than 30 minutes, door opened in less than 5 minutes. Very friendly and professional. Barak came right over when we called on a Sunday night, as soon as we realized that we had locked both keys in our place. He was friendly and fast. We got in and had our keys in hand in no time. Wes was at the house sooner than estimated and gave very good service. We will be using them again if we ever need to! I got locked out of my house and Ilan was there in 20 minutes! He was kind and professional. Thank you! I highly recommend him and his expertise in this situation. Barak is the man and really great guy! He saved us over $340!!! Dealership wanted over $340 for 1 key and they did 2 for $340. They travel to where you are and available 24-7. They do all the modern keys and quickly. We needed 2 transponder chip keys and he made them for us in about a hour. We’re located in Vancouver, WA and so they travel quiet a ways. I would highly recommend Locksmith Monkey, especially if you need expensive keys made. These guys are awesome! They saved us over $340! We needed copies of Transponder keys (the ones with chips in them) made and the dealership wanted over $340 for 1, these guys did 2 for the same price. They travel to where you are and are available 24-7. The keys work wonderfully. My only slight knock on them is that they were a half hour late, BUT we do live in Vancouver and they’re in Portland. I would highly recommend these guys. I’m a repeat customer because Locksmith Monkey provides excellent service. 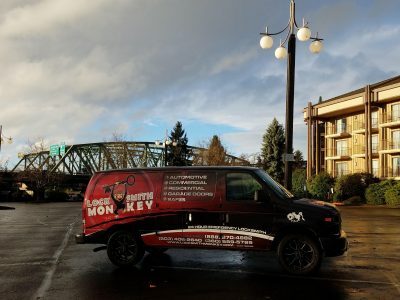 Prompt, courteous, friendly, and a respectable professional are just a few ways to describe Locksmith Monkey!. Polite, professional, did the job quickly and correctly. Said they would be here in 1 hour to re-key the house, showed up almost exactly on time, and was friendly and happy to help. Would call again if needed. Was feeling low as I was locked out late at night alone. I called two locksmiths… they couldn’t open my lock- was a heavy duty lock. Waited outside for 2 hours. West opened it fairly quickly. If only I had called him right away! Partied out then locked out past out in women’s wear… Dude your screwed dance the day 12am Locksmith Monkeys to the rescue .. 30mins. ..Kool And k don’t look good in drag.